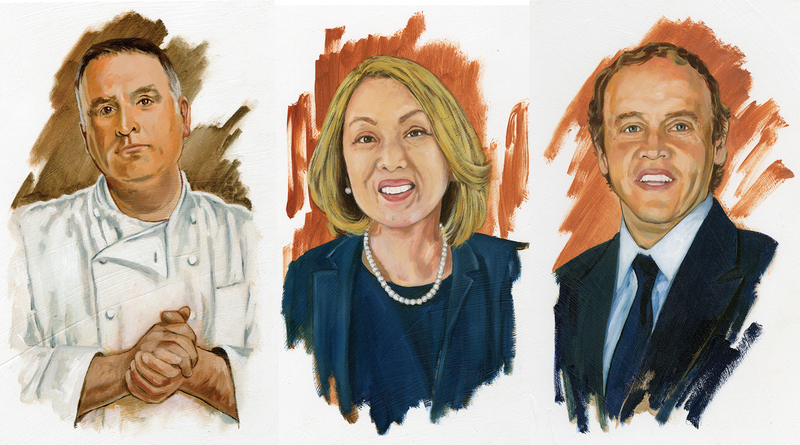 The Washington Business Hall of Fame honors six people who have made the most of living and working here—and helping the community. José Andrés, Sachiko Kuno, and Mark Ein. Illustrations by Forrest Greene. Washington always meant business to venture capitalist Mark Ein and developers Joseph Gildenhorn, Donald Brown, and Benjamin Jacobs. They grew up here and were convinced they could help the local economy. Restaurateur José Andrés and biochemical engineer Sachiko Kuno came to Washington from Spain and Japan. 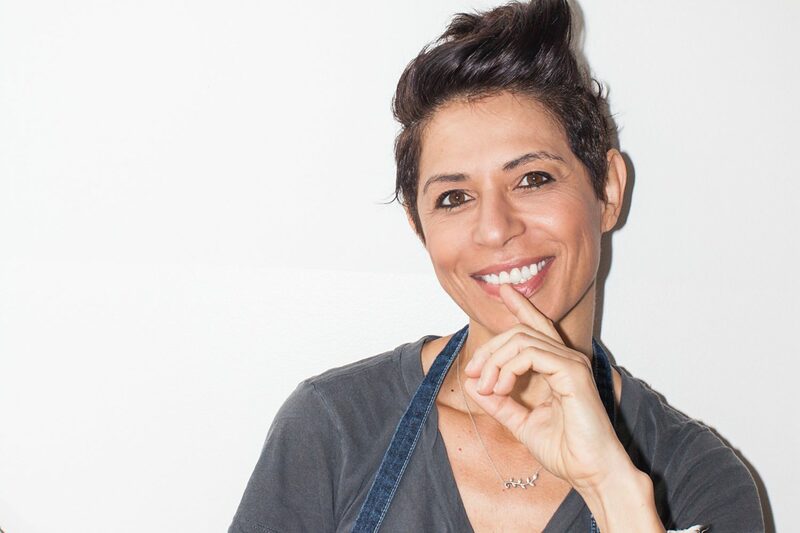 Andrés saw a city ripe for gastronomic adventures; Kuno believed that proximity to the National Institutes of Health and the Food and Drug Administration would help in testing pharmaceuticals her company developed. For both, Washington was a city of opportunity. Andrés, Kuno, Ein, and the three founders of the real-estate development company JBG will be inducted into the Washington Business Hall of Fame at a dinner November 28 at the National Building Museum. 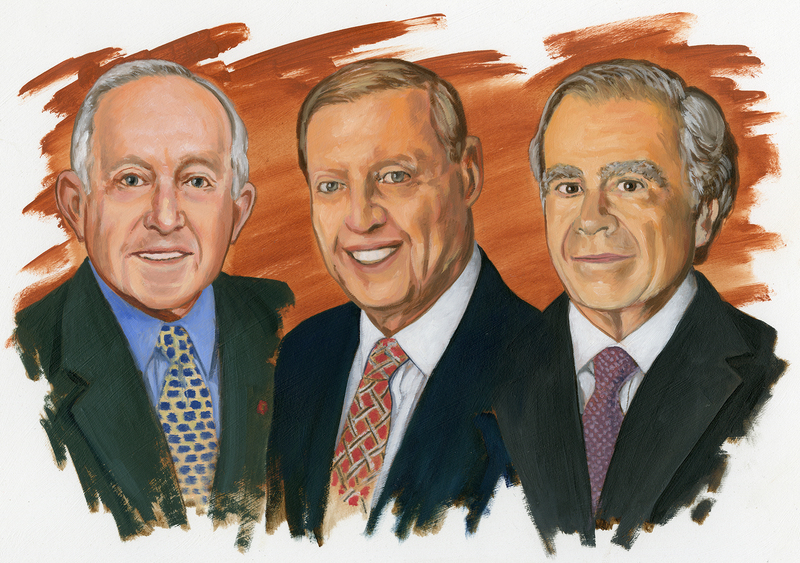 More than 30 years ago, Washingtonian, the Greater Washington Board of Trade, and Junior Achievement of Greater Washington created the Washington Business Hall of Fame. The dinner and awards ceremony benefit Junior Achievement, whose programs teach entrepreneurship and financial literacy to local children. Last year, JA sent 5,887 volunteers to work with 66,779 students in 262 schools and after-hours programs. Some 23,500 middle-schoolers went through JA Finance Parks in Fairfax County and Prince George’s County. A new Finance Park was launched recently in Montgomery County. For more information about the dinner, contact Lauren Meltzer at 202-777-4480. 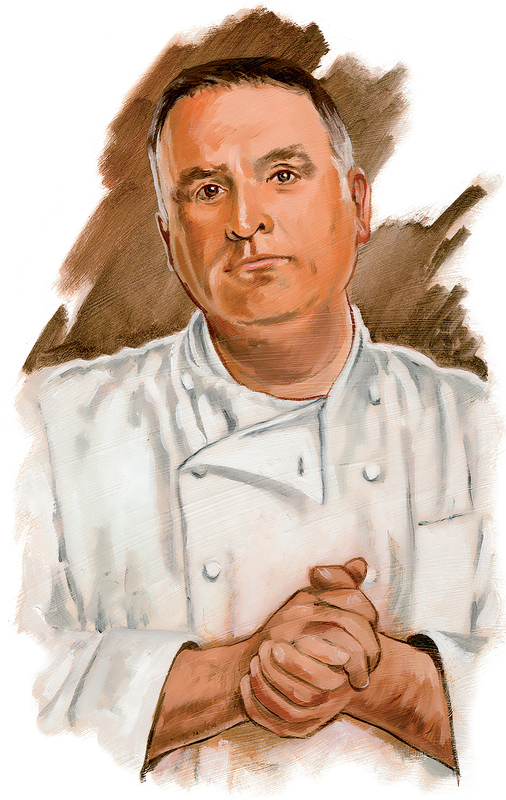 José Andrés. Illustration by Forrest Greene. Andrés’s ThinkFoodGroup now includes 31 restaurants across the country as well as food trucks; the vegetable-focused fast-casual chain Beefsteak; and local eateries Oyamel, China Chilcano, and the two-Michelin-star Minibar, which specializes in gastronomic innovation—techniques Andrés draws on for a lecture series about the science of food transformation at Harvard. 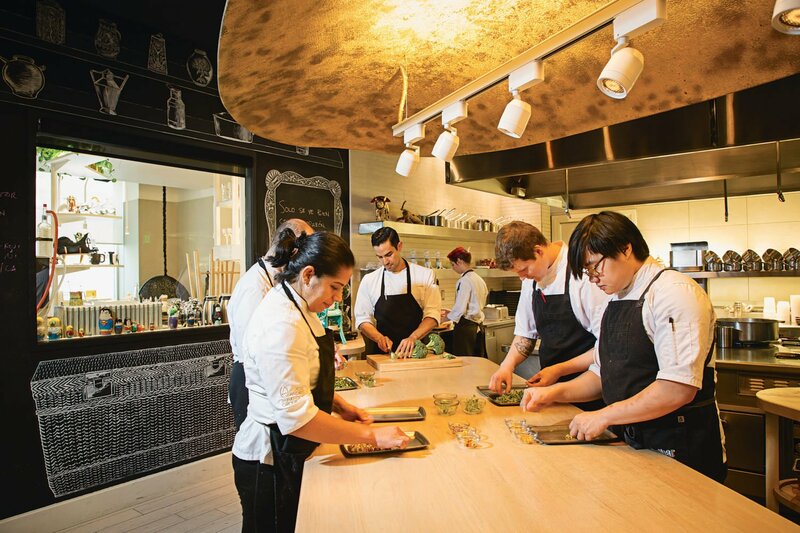 In 2017, ThinkFoodGroup—which employs 1,350 people and has annual global revenues of $150 million—formed a partnership with the food-service-management company Compass Group USA to expand the chef’s empire to museum cafes, stadiums, and other locations. 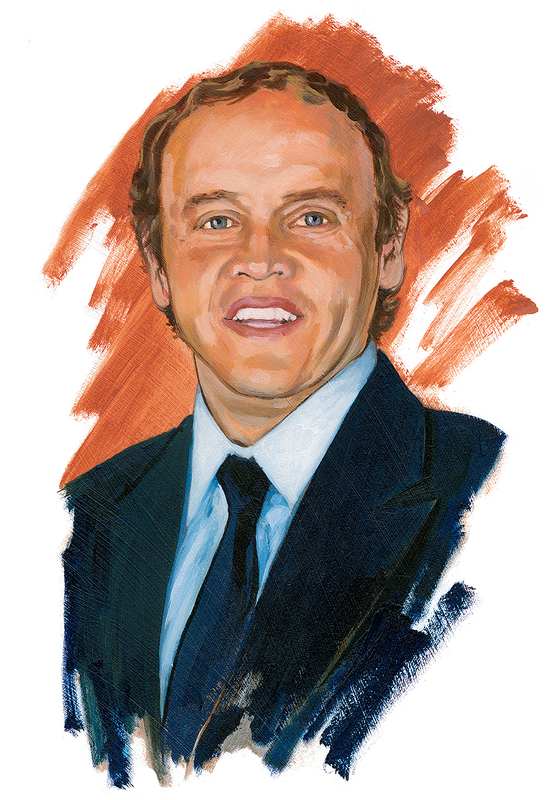 Andrés has become as famous for his philanthropy as for his empire. In 2010—inspired by that year’s earthquake in Haiti and his work with Robert Egger at DC Central Kitchen—he created World Central Kitchen, through which he has helped feed hundreds of thousands of natural-disaster victims, such as those devastated by Hurricane Maria last year. Mark Ein. Illustration by Forrest Greene. Growing up in Chevy Chase in the 1970s, Mark Ein had a vision for his future and the future of the city. Washington still thought of itself as a place that made laws, not money. But Ein saw things differently. 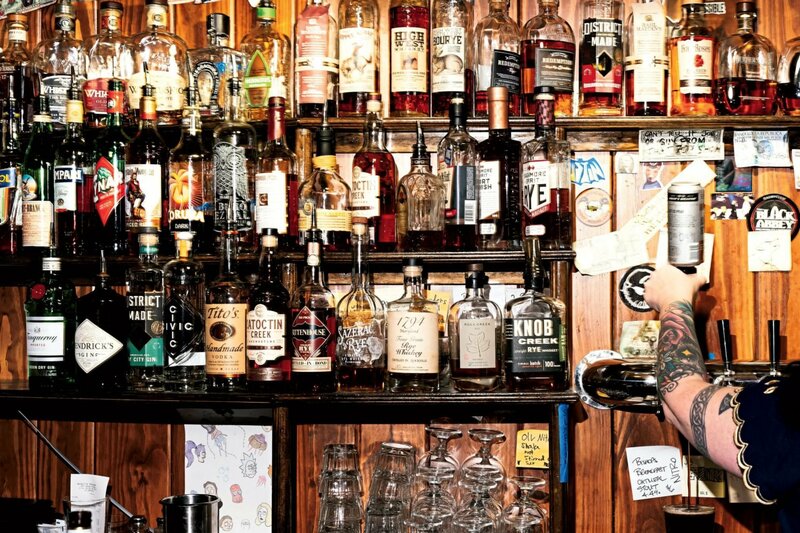 “It was my dream to be a business investor and company builder here,” he says. After college, Ein moved to New York to earn his stripes in real estate and mortgage-backed securities at Goldman Sachs, then to Los Angeles, where he worked in venture capital and private equity at Brentwood Associates. He returned to Washington in 1992 to join the Carlyle Group, and in 1999 he started Venturehouse Group, his own venture-capital fund. In the past 25 years, Ein’s investment enterprises have included the travel company Lindblad Expeditions; VSGi, a provider of videoconferencing products and services; and XM Satellite Radio. He’s chairman and CEO of Capitol Investment Corp. IV and co-chairman of Kastle Systems, which develops and manages security systems for businesses. That company inspired the name of the Washington Kastles, the local franchise of World TeamTennis, of which Ein is a majority owner. His business success is matched by his commitment to his hometown. Since 2010, Ein has chaired the board of the DC Public Education Fund, which has raised more than $120 million from the philanthropic community. 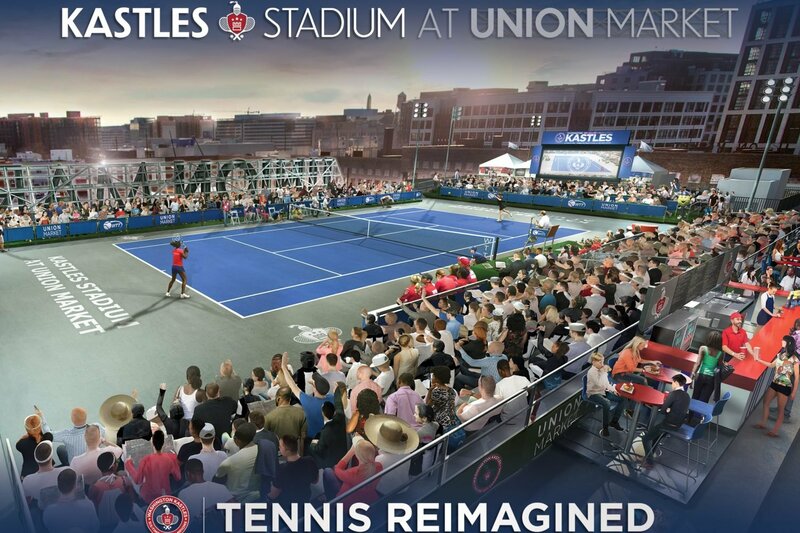 The Kastles tennis team has donated $1 million–plus to local charities. Donald Brown, Joseph Gildenhorn, and Benjamin Jacobs. Illustration by Forrest Greene. Secret of success: “You need certain talents to know what to buy and what to sell.” JBG bought a lot of properties near Metro stops. Secret of success: JBG operated on the minority rule. If one partner didn’t approve a project, they didn’t do it. The three men have stepped away from day-to-day operations but not from the community. Gildenhorn, a former ambassador to Switzerland, has been a major donor to the University of Maryland, where one of his gifts helped establish the Gildenhorn Institute for Israel Studies. Brown is a benefactor of A Wider Circle, a nonprofit that helps those in need of furniture, job counseling, and work-appropriate clothing. In the past, he supported the SEED School of Washington, D.C., and programs that support the arts. Jacobs is a trustee of the Brookings Institution and co-chairs the National Gallery of Art’s trustees council. Of the work their own company is known for, Gildenhorn says: “DC is one of the best real-estate cities in the country.” Many would say JBG helped make it so. Sachiko Kuno. Illustration by Forrest Greene. Sachiko Kuno was a successful biomedical engineer in Japan when she and her business partner and then-husband, Ryuji Ueno, decided to start over in Washington. Despite the fact that they’d earned hundreds of patents and developed a treatment for glaucoma, they found it almost impossible to get a meeting with the Japanese government, Kuno recalls. There were few women scientists in Japan when she studied biochemistry and biochemical engineering there. She went on to do postdoctoral work in Germany but still had a tough time getting a job after she returned home. Kuno was Sucampo’s founding CEO and chair of the board until she stepped down in 2012. Mallinckrodt Pharmaceuticals agreed to buy the company last year for $1.2 billion. 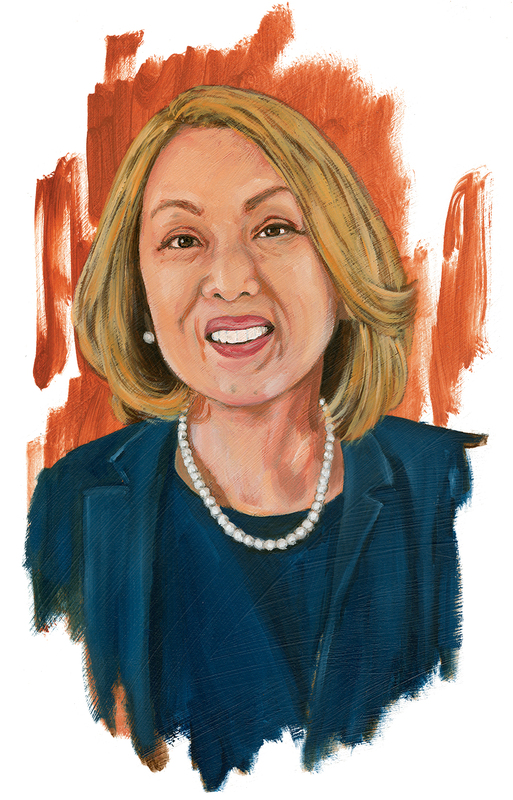 A leading Washington-area philanthropist, Kuno is president and CEO of S&R Foundation, which supports individuals in the arts, sciences, and social entrepreneurship. She cofounded WE Capital, a female-led investment fund that provides financing for women entrepreneurs. “We encourage women to be risk takers,” she says. Kuno is also cofounder of Halcyon. The historic Georgetown mansion is home to the Halcyon Incubator, where fellows receive a residency and workspace, mentorship and leadership coaching, support from business consultants, and a stipend to help turn their entrepreneurial vision into reality.